How Much Is Bottle Service At Chateau? You are one step away from having the ultimate experience at Chateau Nightclub. 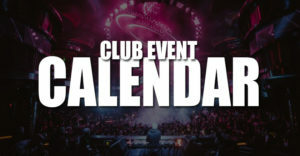 Guarantee your bottle service today and enjoy an assigned Chateau club VIP host and bypass all general admission lines. Bottle service more than you have budgeted for? Check out the Chateau guest list instead. 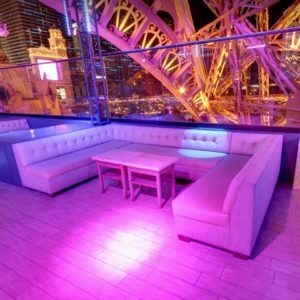 These are some of the best specials and value for bottle service in Las Vegas. Common bottles of alcohol are priced between $425 and $500. See the Chateau menu below. These prices do not include 14% tax and 20% gratuity. The price for the tables and the bottles are the same thing. As a minimum in Vegas it is common that you will need to purchase at least 1 bottle for every 5-6 people in your group. Bottle service tables for Chateau Nightclub start at $500. Tables at this entry price will likely not have placement in the center of the main room or rooftop, but will be on the side of these areas. Tables in the center of the action start at $1,000. The best tables are located near the dance floor and are priced starting at $1,000+. How Does Chateau Bottle Service Work? When you use our site to purchase bottle service your table reservation is for Chateau Las Vegas. After confirming a reservation you simply arrive at the club and check in with the hosts at the table reservation entrance. Be aware that your reservation comes with your own table and area to sit as well as your own waitress, busser, and security staff. You'll be granted your own spot that is separate from the general public to dance, drink, and enjoy the event. 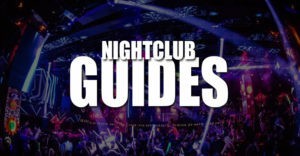 If you have more questions about bottle service in Las Vegas check out How Las Vegas Bottle Service Works. Getting bottle service and table reservations at Chateau Nightclub ensures you get the best seats in the house. 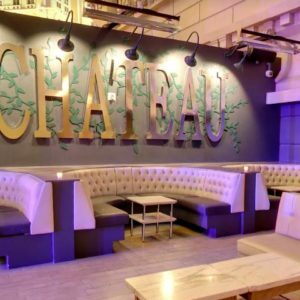 Chateau has created two unique areas to party inside their dynamic nightlife venue, and there is no better way to experience it all than through having your own table. Tables can be reserved to enjoy areas in both the indoor club and rooftop party. In these areas you will have the best view of the live performances and top DJs, as well as your own area to sit, dance, and let loose. Tables have their own roped off areas with separate security, waitresses, and bussers. Entrance into the nightclub is expedited for groups that have bottle service reservations. Bottle service prices, menus, and availability are be provided to you by directly connecting with a Chateau VIP hosting options using our packages above. 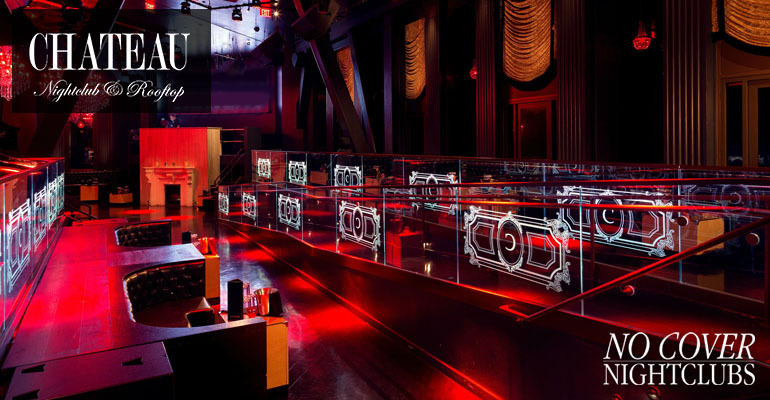 The best tables are typically located near the dance floor areas of both the indoor club and rooftop venue. 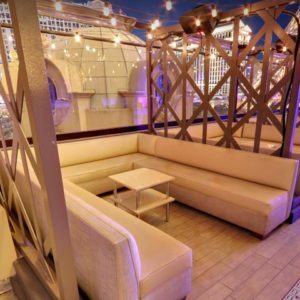 Some of the rooftop tables also provide you with some of the best views of the strip and the Bellagio fountains as well as nightclub energy. 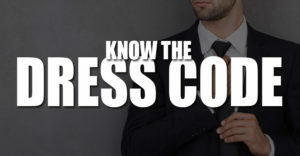 Table location is dependent on a few factors that include how much you plan to spend, the time you arrive at the club, and amount you may provide to nightclub staff. Connect directly with the Chateau hosts and get quote on bottle service reservations. Feel free to ask about Chateau's bottle prices, menu, and availability. 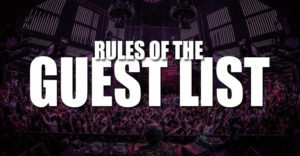 Chateau Nightclub guest list is available for free here.